Five years ago, Julia Bell walked away from her life the moment her high school diploma was in her hand. She left her family and friends behind to start over and escape the chokehold of small town life in Benton Hill. But an urgent call from her little sister brings Julia back to her hometown wholly unprepared for what awaits her. Ben Miller was always the nice guy. Just before high school graduation, he stepped out of that role hoping to capture the heart of the woman he loved. Instead, in quick succession he lost the girl, and the future he worked so hard to achieve. Describe Bittersweet Junction in one sentence. Fate gives two former best friends a second chance at romance, if they overcome old misunderstandings and deceit. Give a quick blurb about the book and why readers would enjoy it. Bittersweet Junction picks up with the main characters, Julia Belle and Ben Miller, five years after high school graduation. Julia left the small town of Benton Hill right after graduation because she was faced with some grown-up kind of decisions that she couldn’t make. Ben, one of Julia’s childhood best friends, was left confused and hurt after her departure. Julia’s sister Clary lures Julia back to Benton Hill under false pretenses, and that’s when Julia realizes it’s impossible to outrun the past. I think what readers will enjoy most about this story is the way that Julia and Ben eventually overcome the obstacles in their path to have a shot at their happy ending. I found it very satisfying to write, and I believe that will resonate with readers. How did you come up with the idea for Bittersweet Junction? I’ve had several ideas for stories that revolve around the idea of a five year high school reunion. 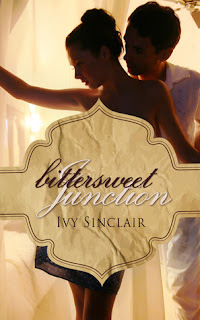 The idea for Bittersweet Junction started there, although in the end, there is no actual high school reunion in the book. That wouldn’t have been a good enough reason to drag Julia back to Benton Hill. If Bittersweet Junction were made into a movie, who would you want to play the main characters? I’ve thought a lot about this. I could see Emma Roberts playing Julia and Chris Pine, with his gorgeous blue eyes, would make the perfect Ben. Emily Browning would play Julia’s little sister Clary, and Max Thieriot would round out the casting as Mike. I started writing the summer between sixth and seventh grade. I kept all of my teenage angst in a journal and experimented with poetry as well. I think that helped me start finding my writing voice. When did you first think, wow I have made it as a writer? My senior year of high school I won a state newspaper award for a piece of hard hitting journalism in the school paper. It was an article on how a teacher in a local junior high had gotten in trouble for showing an R-rated movie in the classroom. 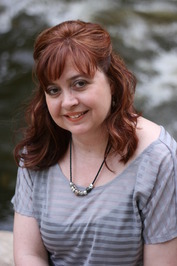 The day I received my award, I knew that writing was part of my life’s journey. Do you have any special rituals you do when you sit down to write? I usually have an idea of how many words or chapters that I want to get written that particular writing session. It helps to have a goal because I am easily distracted. Take an active interest in reading about what’s going on in the publishing industry today so that you can make informed decisions about your writing destiny. The landscape of publishing is changing faster than anyone could have imagined, and it affects all of us. Favorite color? I am digging orange right now. I have an orange purse, loads of orange tops, and even my toenails are orange at the moment. Salty or Sweet? I am 50/50 on that. My favorite snack right now is a handful almonds mixed with a handful of dark chocolate chips. Favorite author? Stephen King. I can’t think of another author out there who has influenced me and my writing as much as he has, and I have enjoyed almost every single book he’s written. Há tantos autores ainda desconhecidos pelo mundo fora, só dá vontade de os trazer todos para o nosso país! eheh!